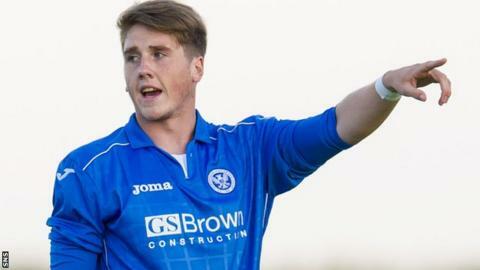 Ballymena United boss Glenn Ferguson has bolstered his struggling defence by signing Gareth Rodger from Scottish side St Johnstone on loan. The 21-year-old will join the Sky Blues until at least January, subject to international clearance. Former Sky Blues manager Tommy Wright, who is now in charge at St Johnstone, helped to facilitate the move. "I'd like to thank Tommy for his help and I look forward to seeing Gareth in action," said Ferguson. Rodger joined St Johnstone in 2010 and has also had loan spells with Montrose and Brechin City. United have suffered a nightmare start to the Premiership season, sitting bottom after losing all three games and conceding 13 goals. Their latest defeat came on Saturday, losing out 2-0 at home to derby rivals Coleraine.